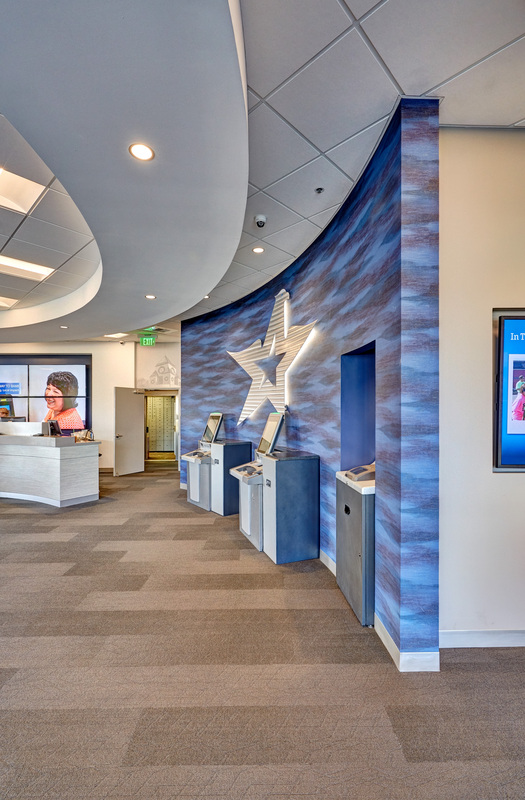 One of the largest credit unions in California, Travis Credit Union serves more than 200,000 members. For nearly 70 years, it has supported the communities surrounding Vacaville through financial literacy education, banking products, and friendly, genuine employees. With a commitment to its members and their communities, the credit union helps underserved populations to achieve financial wellbeing and to acquaint them with its philosophy of "people helping people." 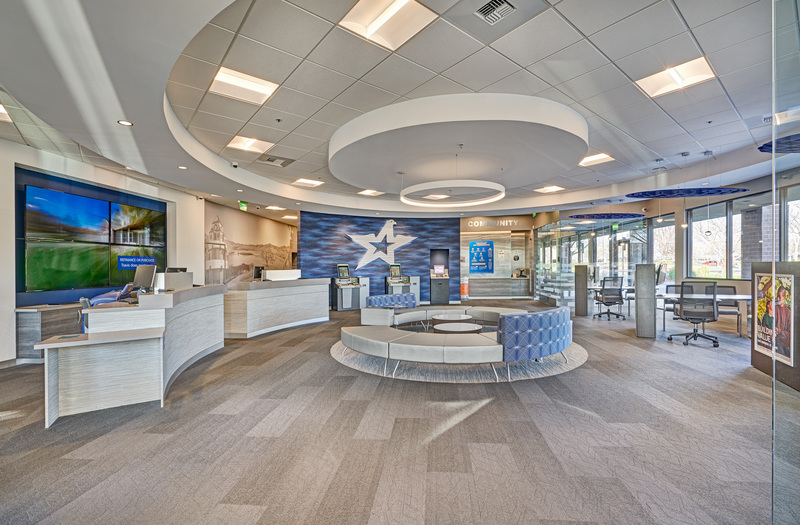 Serving as both architect and interior designer, arcINTERIORS worked closely with Travis Credit Union and Sierra View General Contractor to bring its client's transformative vision to reality. "One of the main goals for the recent branch transformation was to create a branch that was modern in aesthetics, but still provide a sense of comfort and intuitiveness for the members from the moment they first walk into their branch," said arcINTERIORS' principal Aileen L. Sulzinger, CID, LEED® AP ID+C. Contributing to customers' and staff's exceptional experience once they entered the space, arcINTERIORS specified Rockfon ceiling products as installed by DK Acoustics, Inc. To accomplish both the aesthetic and functional needs of the project, arcINTERIORS selected Rockfon Artic® acoustic stone wool ceiling panels and Chicago Metallic® suspension systems. The high light reflectance, recycled content and indoor air quality attributes of Rockfon Artic ceiling panels also contributed to the project's sustainability objectives, according to Sulzinger. "The branch transformation at Vaca Commons exceeded the 2016 California Green Building requirements for construction waste management, sustainable finishes, recycling, building materials, and new mechanical and electrical, including the stringent Title 24 California requirements for lighting and energy consumption." 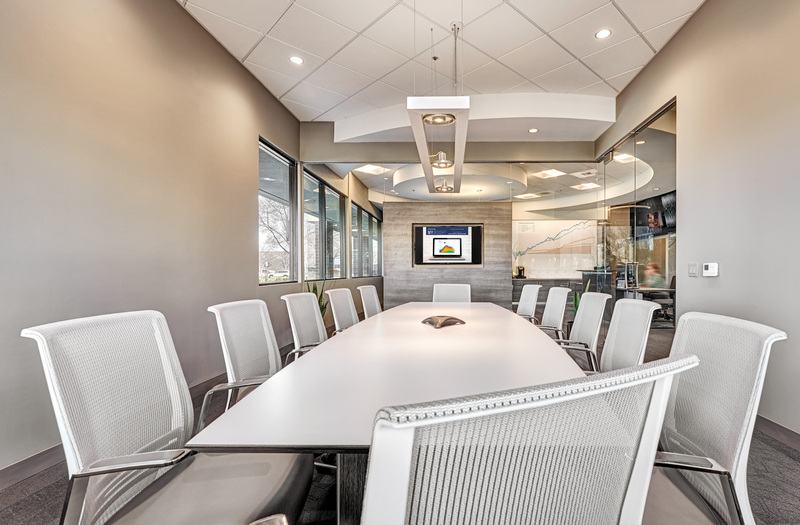 She notes that the stone wool ceiling panels have earned UL® Environment's GREENGUARD Gold Certification for low-emitting products, a benefit recognized by the State of California's Department of Public Health Services Standard Practice for Specification. Supporting worker wellness and safety, installing contractors also appreciate that Rockfon ceiling panels are lightweight, easy to carry and simple to install into the Chicago Metallic ceiling suspension system. 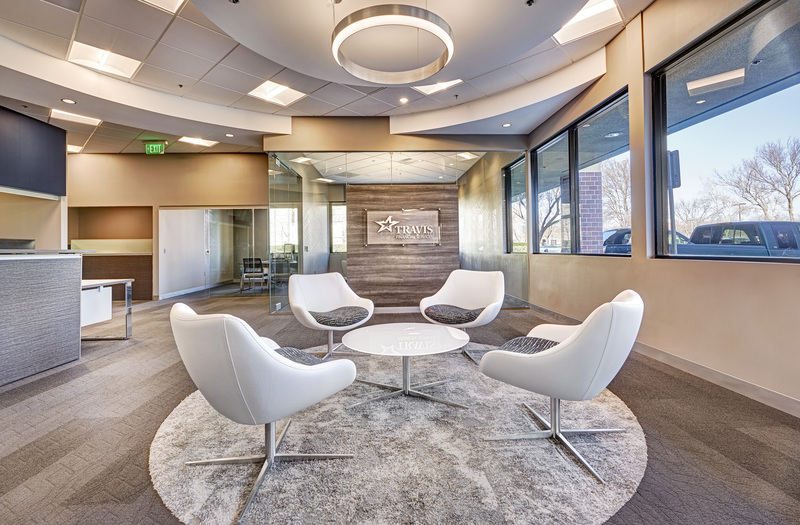 DK Acoustics began installing the credit union's new ceilings in April 2017. At the ROCKWOOL Group, we are committed to enriching the lives of everyone who comes into contact with our solutions. Our expertise is perfectly suited to tackle many of today's biggest sustainability and development challenges, from energy consumption and noise pollution to fire resilience, water scarcity and flooding. Our range of products reflects the diversity of the world's needs, while supporting our stakeholders in reducing their own carbon footprint.